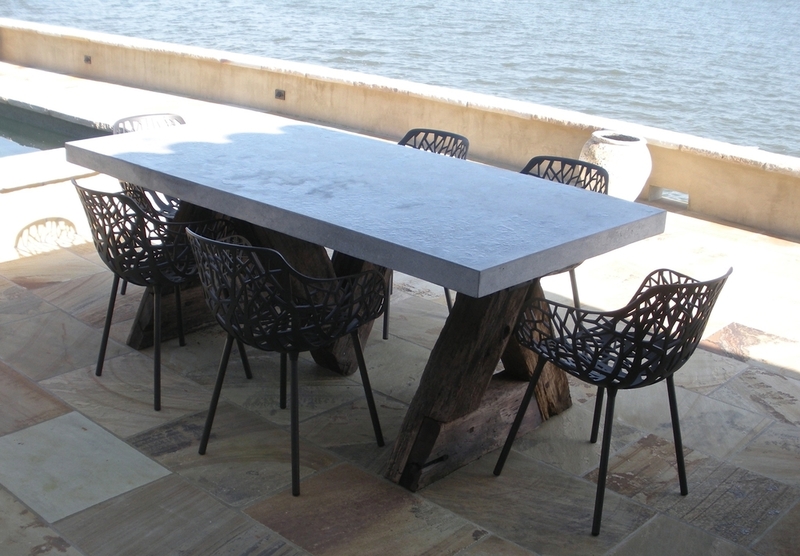 We've designed many tables over the years, but these three iconic styles are perennial favorites. 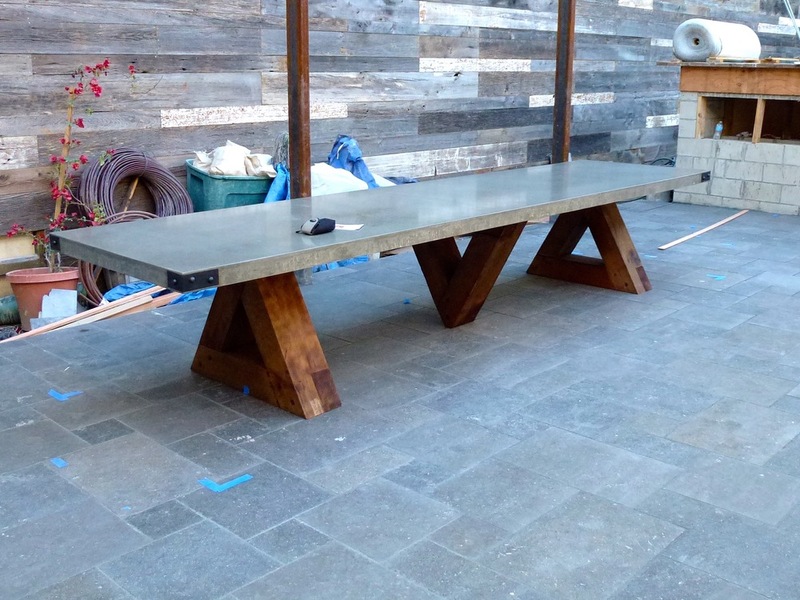 We use salvaged California redwood, or Western Red Cedar for the base of our Triangle Table, in either re-sawn salvaged dimensional lumber or clean antique redwood railroad ties (shown above) when available. 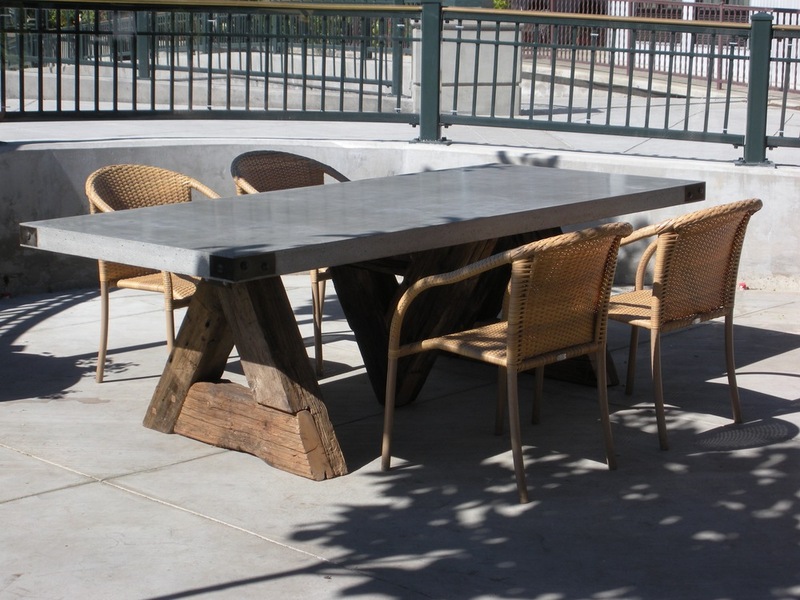 Avaiable concrete or zinc tops are produced by local Sonoma craftsmen. 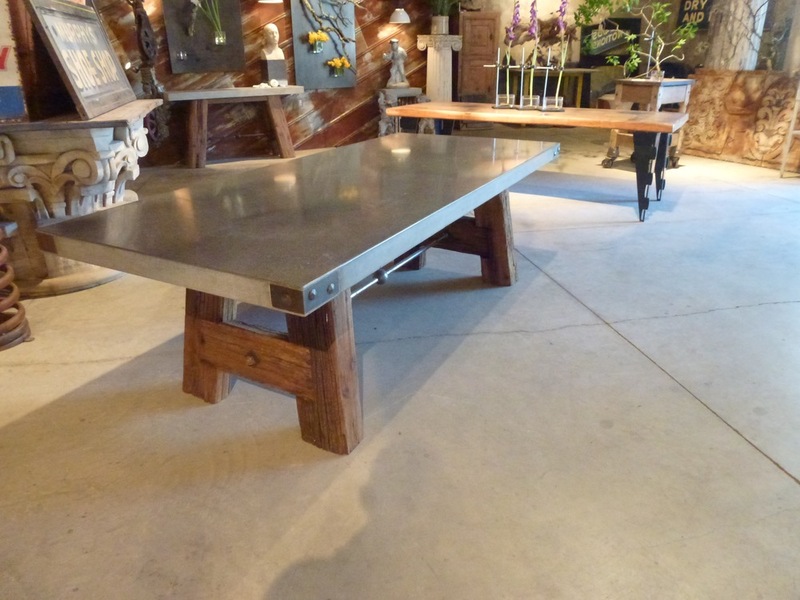 All components are produced to our specifications by local Sonoma County craftsmen, then assembled and finished by us. 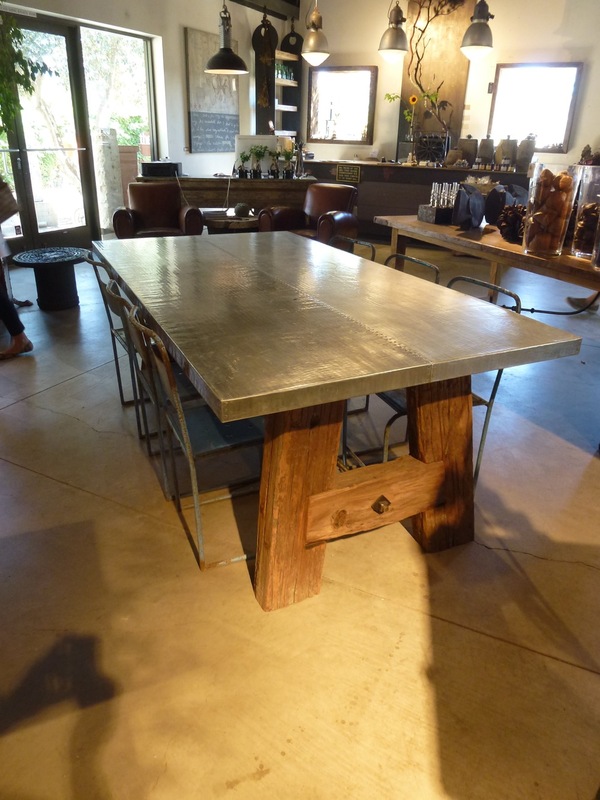 Each table is designed to the customer-specified size and to the character of the wood being used, and each is an individual work of art that will last a lifetime. 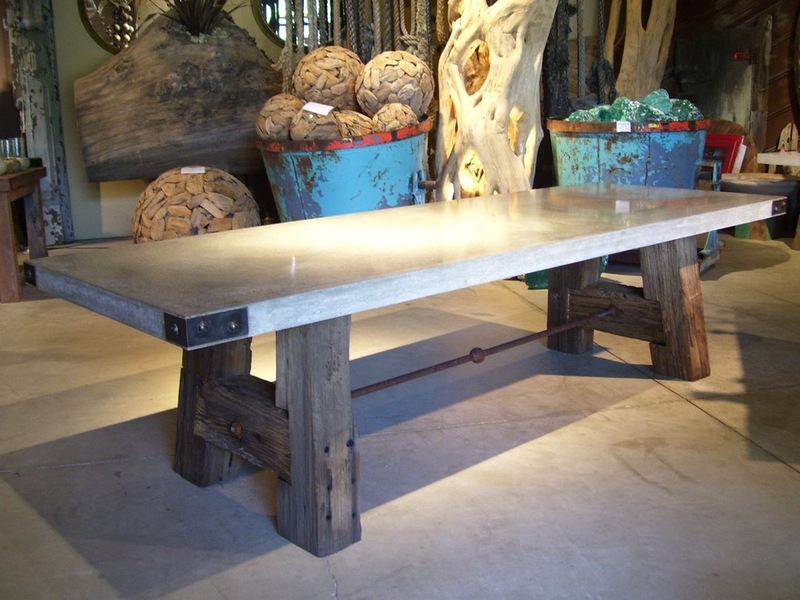 100% salvaged Northern CA Redwood base with concrete or zinc top produced by local Sonoma craftsmen. 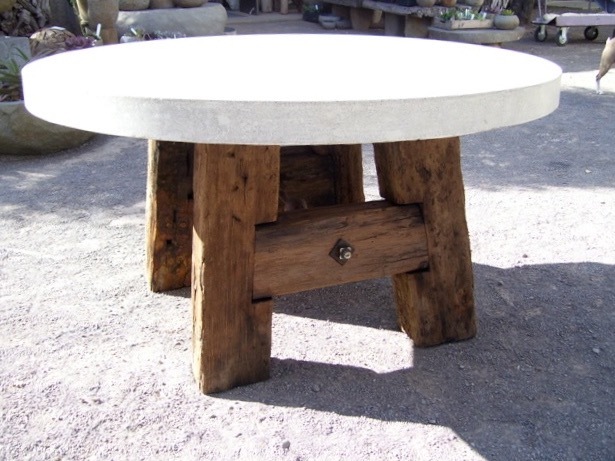 Each base is scaled appropriately to the customer-specified size and the character of the wood being used. 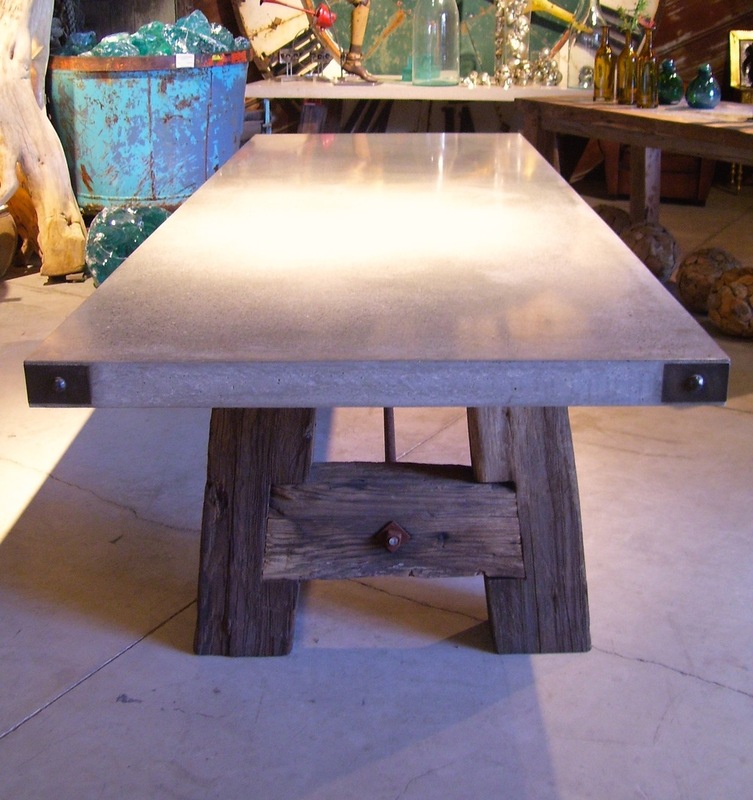 An elegant and flexible table base that adjusts to accommodate a variety of tabletop shapes and materials. 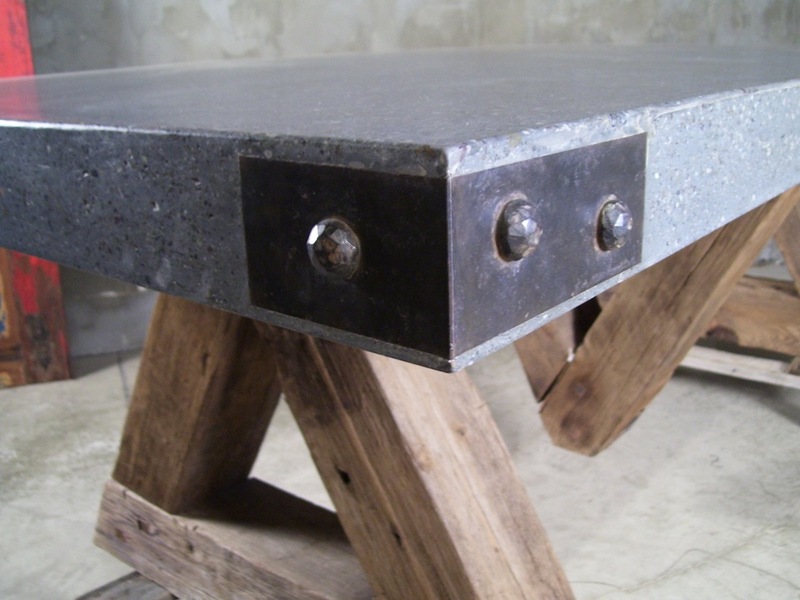 We often pair glass and zinc tops with this base. 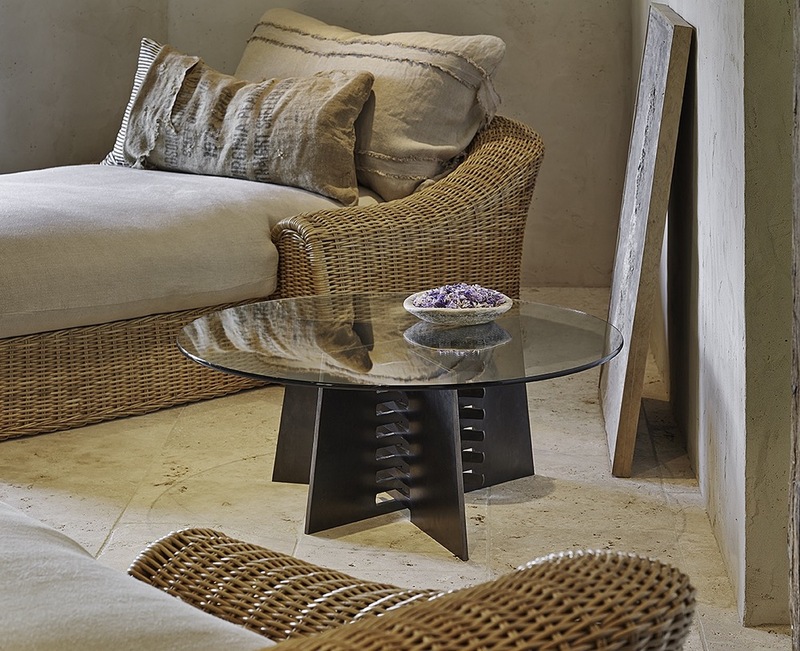 Our plate steel comb table base expands and shifts to support and complement almost any tabletop shape, and is also beautiful under glass.